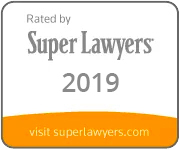 Once again shareholders Steve Hogan and Kurt Schmalz have been selected by their peers as Southern California “Super Lawyers” for 2019. Hogan was selected in the Estate and Trust Litigation practice area and Schmalz was selected in the Business Litigation practice area. “Super Lawyers” recognizes attorneys who have distinguished themselves in their legal practice. The honor is limited to no more than 5% of the attorneys within the attorney’s state. Southern California Super Lawyers Magazine, in February 2019, which reaches over 66,000 attorneys. This publication will also be included as a special supplement within 46,000 copies of The New York Times on February 3, 2019(Los Angeles and Orange County distribution). Los Angeles magazine, in February 2019, which reaches over 756,000 readers.